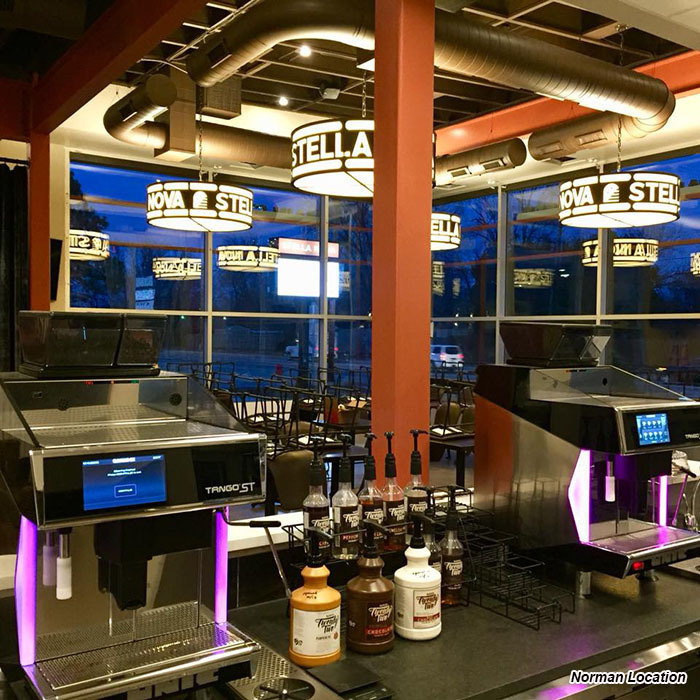 Owners John Kennedy and Kelli Lay recently opened the first Stella Nova Coffee at 1415 W. Main in Norman in the building formerly occupied by The Cube convenience store. 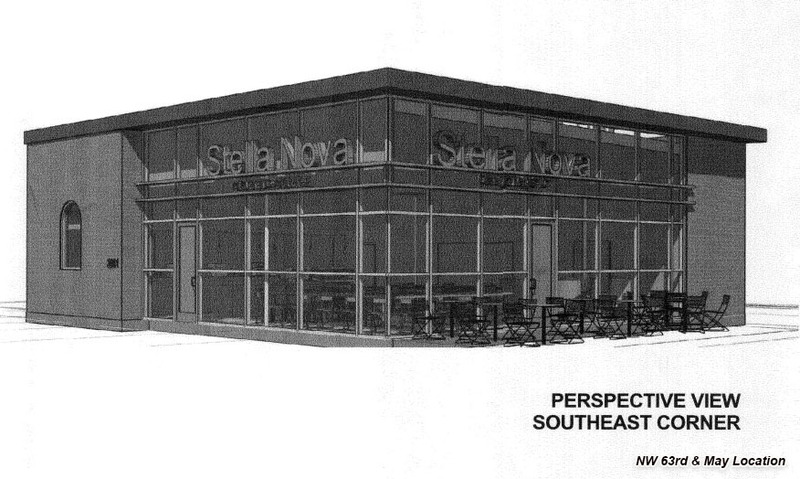 Now their 2nd location at 4716 N. Western is nearinng completion and they have also filed plans to completely remodel the building on the northwest corner of NW 63rd Street and May Avenue. 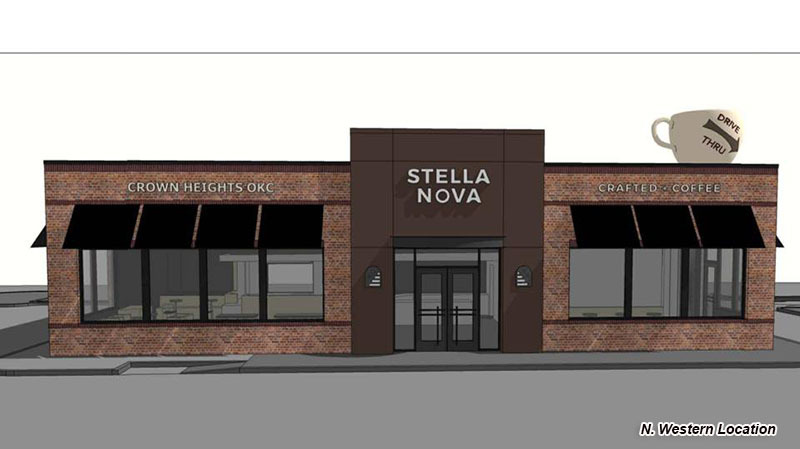 Like the Norman, location, both the OKC sites will have a drive-thru. The group bought the old Abram's Cafe on Western last year and have been busy construction an entirely new brick structure on the site which sits directly across from The Wedge pizzeria. 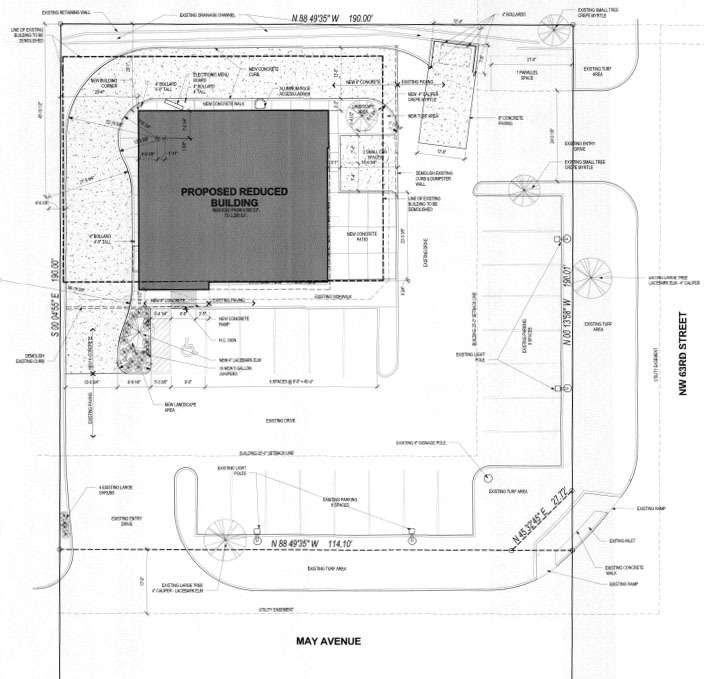 Kennedy told the Norman Transcript the Western location should be open in February. 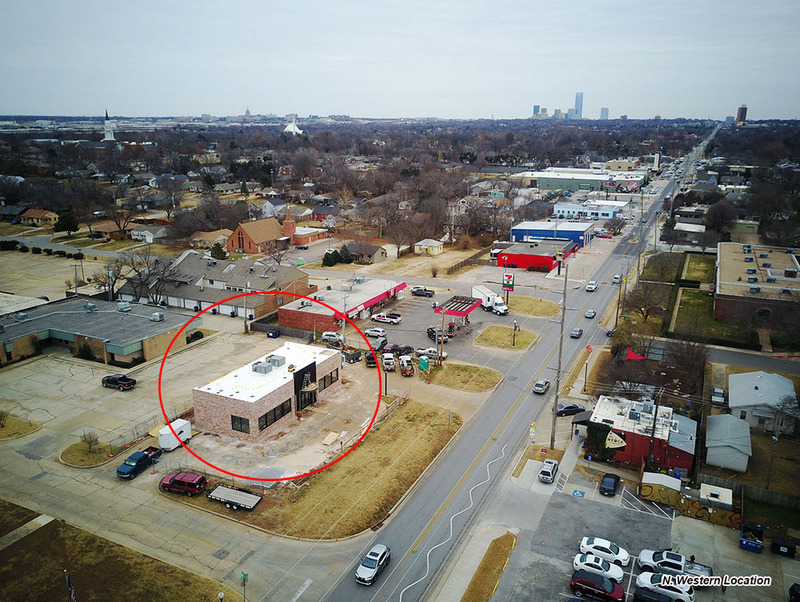 Plans filed with the City of Oklahoma City show the 5,040 square foot building at 2901 NW 63rd being reduced to about the half the size with a complete remodel and addition of a drive-thru. The building had previously been home to Payless Shoes and a check cashing business. 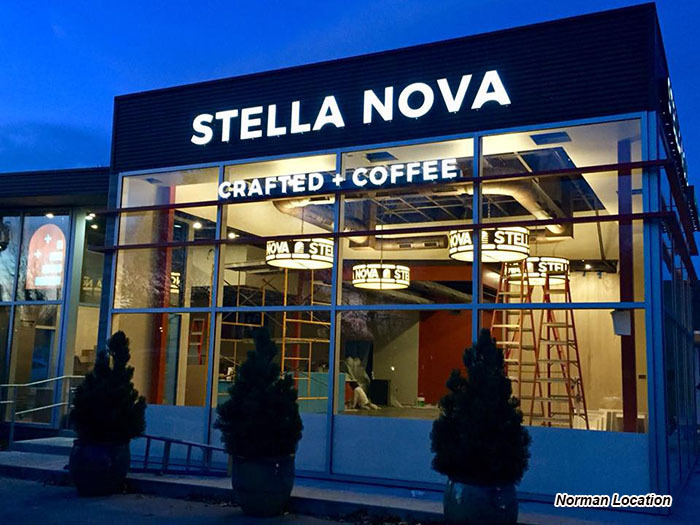 Kennedy also told the Transcript that in addition to their own blend of locally roasted coffee and other hot drinks, Stella Nova will also feature items from OKC's Wheeze the Juice (locations in Deep Deuce and Leadership Square downtown) and Roxy's Ice Cream Social.